Every now and then I run a free e-course. It’s my favourite way of marketing because it brings a lot of value. Sign up for the Bonus and Freebie list if you want me to keep you posted on my free e-courses. The sign up box is on the right of this page. Here’s an example of a past free e-course. It ran in October 2013, January 2014 and March 2014. People got great results from it. I’ve turned this course into an e-book, so you can buy it if you missed it. 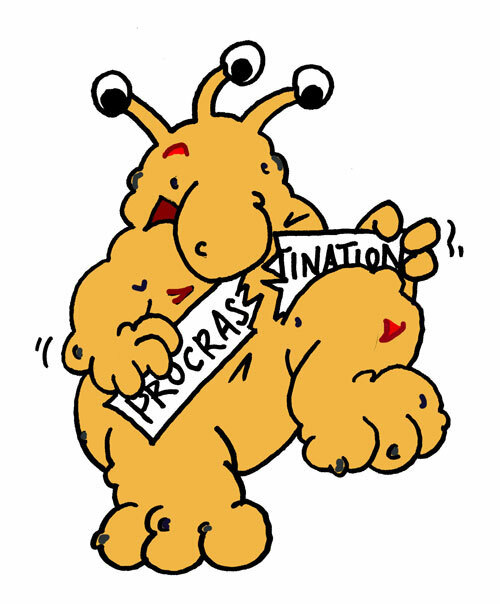 Create a helpful mindset around procrastination and get results NOW! Jump in and join my free e-course. You can start what you never started, finish what you never finished, or get unstuck on a subject that’s stuck. It’s your choice to make. 1) You will pick one thing to work on, and create what you need to actually do it. I’m aiming for results! 2) The Facebook group will help you get started – and keep you going once you’re on a roll. 3) We will be planting seeds for a new mindset. One that will help you increase your productivity and feel good about yourself. Nine days, eight e-mails, seven exercises. Designed so that you can take it all in, and get something done. Most of the exercises will take 10 minutes. How much time you spend working on your ‘thing’, depends on what you’ve chosen. If you feel you would have needed this course, check out my Work with me page. Or buy the e-book.